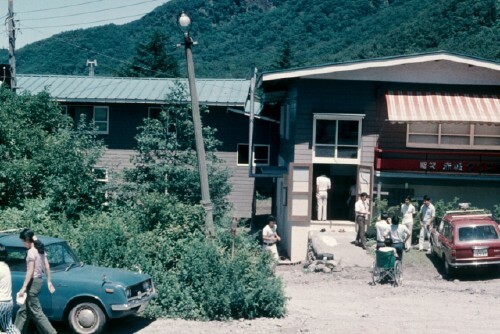 This is what the camp looked like in 1963 when it was first purchased. 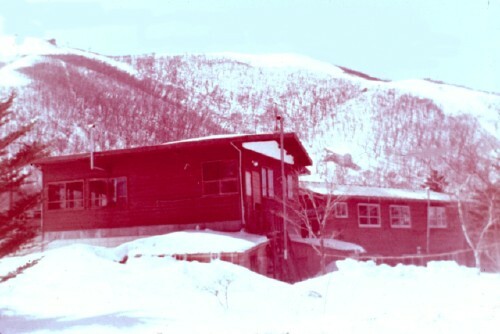 It was formerly called the “Dunn Lodge” after the previous owner. 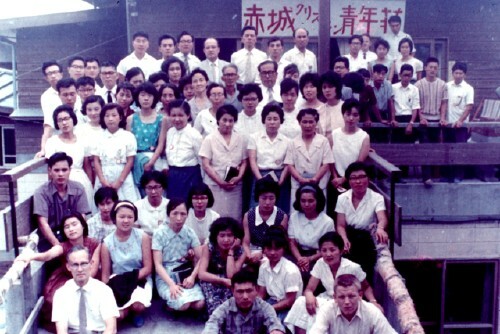 This is an early photo of a gathering during the first summer of 1963. 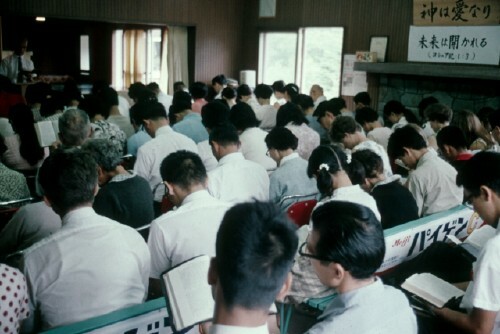 A Bible study that was held at the camp for high school students. Here you can see some of the campers enjoying some board games on the veranda during youth camp. How the buildings looked with a new coat of paint. 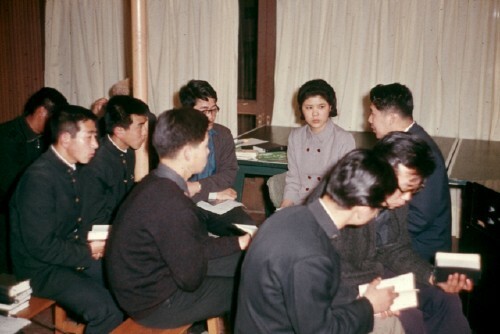 Winter, 1964? Here you can see the camp taken from the back and looking toward Mt. 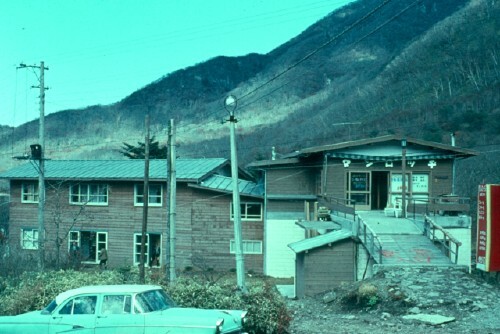 Jizou, one of the several peaks that make up Mt. Akagi. 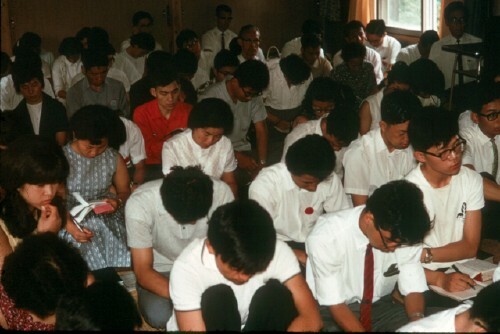 This was perhaps around 1966, after the front extension (fireside room) had been added to the main building. 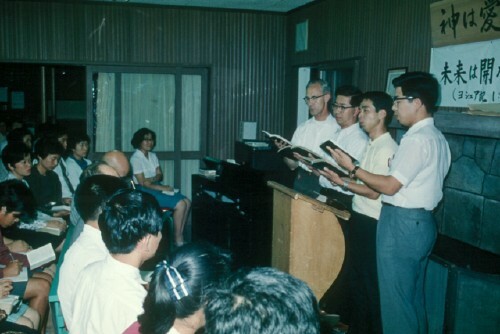 Singing at one of the summer gatherings. 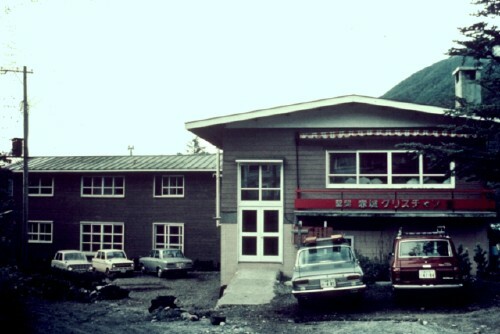 Here’s a shot of the front entrance of the camp after the first extension had been built. 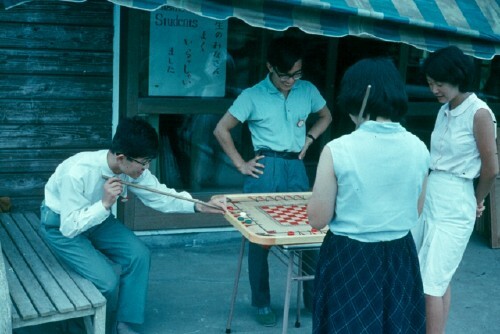 Summer 1966. 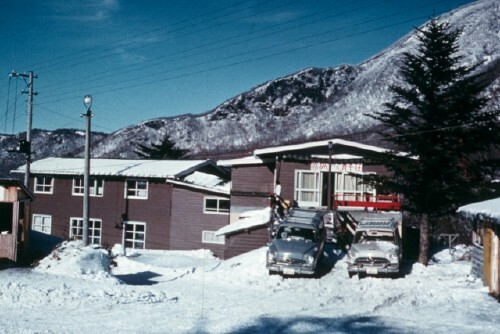 Another early shot of the camp…perhaps taken around 1966 with the new addition on the front.